Vechs’ Super Hostile Minecraft Survival Map Downloads | Surviving Minecraft, Minecraft Adventures! The Super Hostile series by Vechs is what I have no trouble calling vast collection of survival adventure maps available for download. If you thought the original Survival Island was bad, check out what happens when the calm blue ocean becomes an ocean of lava and instead of having sand and dirt to play with, there’s obsidian you have no hope of mining with the puny wooden tools you’ll be able to make out of the one tree on the island. 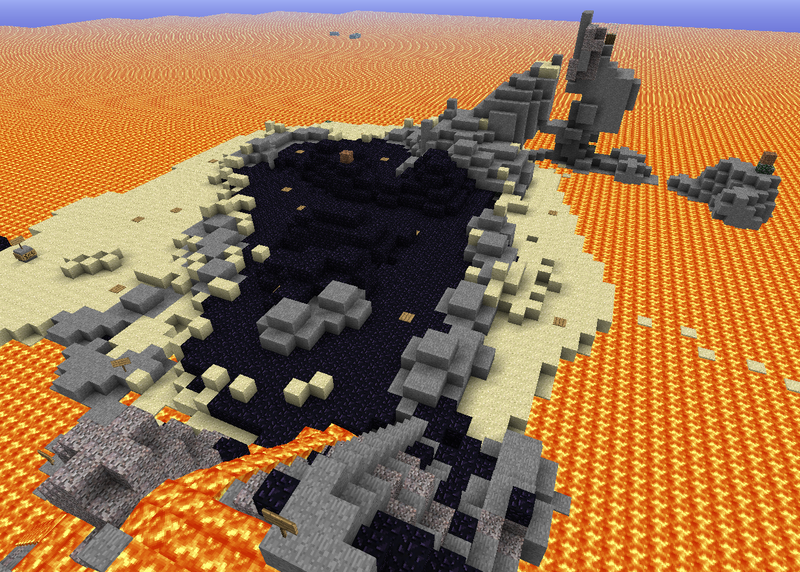 The map I’m referring to is called ‘The Sea of Flame’ and is set on an obsidian island in a lava sea. This entry was posted in Adventure Maps, Minecraft World Save Files, Survival Maps on May 20, 2011 by Hope.